This PVC linear drain has a stainless steel "Slotted" strainer design and clamping mechanism for thin-bed sheet membranes. Available in 7 drain lengths. 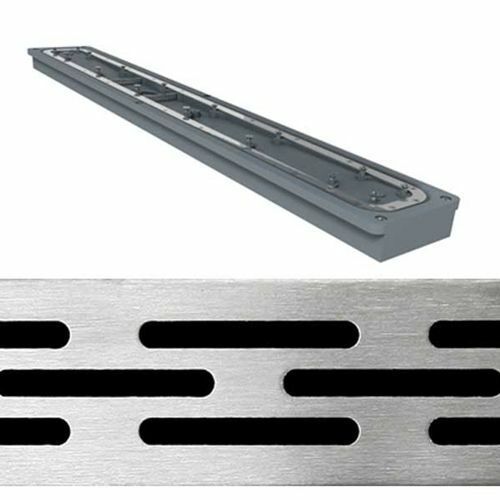 The FreeStyle Linear Drains are available with PVC or ABS drain bodies and provide superior design flexibility with your choice of four brushed stainless steel or tile top strainer styles. These are the only linear drains on the market that feature a membrane clamping mechanism to guarantee a watertight installation. The high capacity drainage and low profile design make them a perfect choice for constructing quality barrier-free showers. 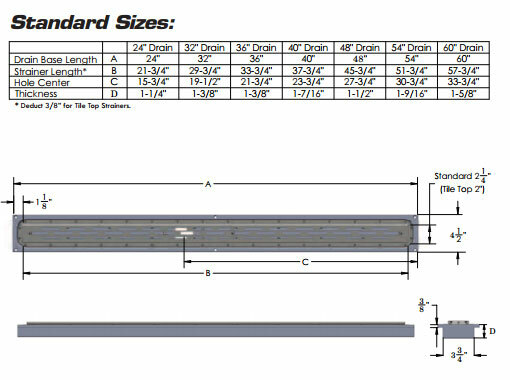 There are 7 drain lengths available to suit practically any installation configuration.